Panef 6.5g Powdered Graphite Lubricant. Keeps locks lubricated and working smoothly. Guards against sticking and dirt build up. Reduces wear and corrosion. 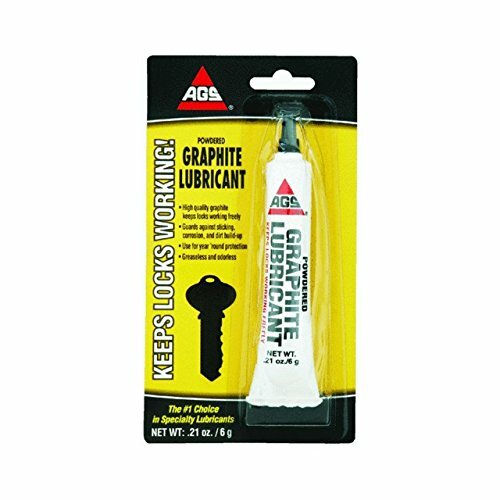 Use lubricant regularly to keep all locks lubricated and working smoothly. Powdered Graphite is the finest lubricant for metal, wood, plastic, and rubber. Ideal for many uses including: hinges, tools, guns, fishing reels, auto locks, door locks and model derby cars. Guards against sticking and dirt build-up. Reduces wear and corrosion. Easy to use. If you have any questions about this product by Panef, contact us by completing and submitting the form below. If you are looking for a specif part number, please include it with your message.